The service builds on the bank’s existing RBC Secure Cloud platform and will enable customers to use an Android NFC phone to make debit card payments at any merchant equipped with a POS terminal that supports Interac Flash contactless payments. HCE debit card payments will be piloted by RBC employees over this winter on a variety of Android devices and mobile networks, the bank says, with support for Visa and MasterCard as well as other credit card and value-added services to be added “shortly”. “RBC has been on a journey since 2009 to develop the best possible mobile payment experience,” Jeremy Bornstein, head of payment innovations at RBC, adds. “We started working with specific telephone manufacturers on deploying payment credentials one at a time to the phone’s embedded secure element, and then pivoted to the SIM solution. “But RBC is a relationship bank and our clients have 2.1 card products on average: a debit card, credit card and, increasingly, a co-branded credit card. We want to make it easy for clients to provision all of their card products so they have choice at the point of sale how to pay. “We created RBC Secure Cloud to allow [customers to] quickly have access to all of their payment cards when provisioning to a SIM. Sensitive customer data is stored securely with RBC in the cloud, not on the phone, making a safer, faster, more flexible solution. 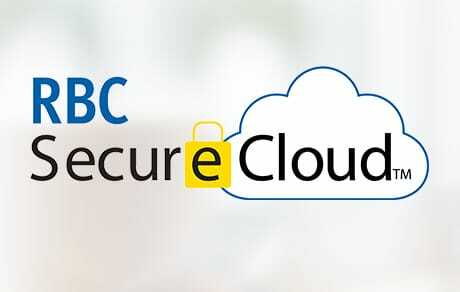 “We provision the RBC Secure Cloud applet in under two minutes 98% of the time and you never have to provision again unless you change phones – all of your debit and credit cards are immediately available. But our solution only worked with a few mobile network operators, on a handful of devices and only if our client had an upgraded SIM card.